Description / Color / Consistency: A thin, clear, pale yellow to yellowish green liquid. Aromatic Summary / Note / Strength of Aroma: A top note with a medium aroma, it has a tart, fresh scent characteristic of the fruit. Blends With: Bergamot, Cedarwood, Geranium, Grapefruit, Lavender, Lemon, Mandarin, Neroli, Nutmeg, Orange, Palmarosa, Petitgrain, Rose, Rosemary, Rosewood, Vetiver and Ylang-ylang. Product Abstract: Lime is a small evergreen tree that produces a small, sour fruit very similar to Lemon. The fruits themselves are green in color with a fleshy interior. 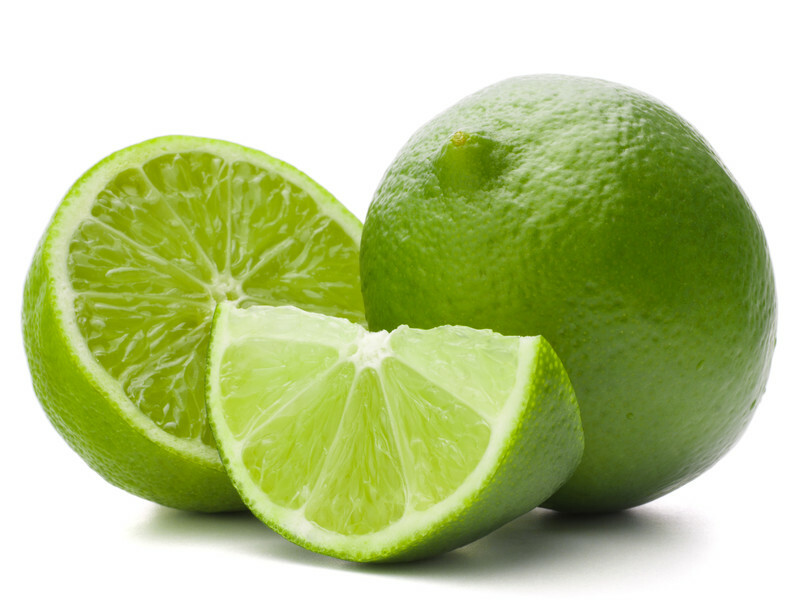 Historically, limes were used to prevent sailors from developing scurvy. Cautions: This oil has phototoxic properties and exposure to the sun must be avoided after application to the skin. Due to their presence, please consult a physician prior to using this oil. Dilute well before use; for external use only. May cause skin irritation in some individuals; a skin test is recommended prior to use. Contact with eyes should be avoided.